Expert in Belgian immigration law, Céline Verbrouck has been recognised with the title of lawyer specialised in immigration law and international private law by the Order of Lawyers. Céline Verbrouck is a founding partner, with Michel Kaiser, of the carefully thought out project Altea. The firm reflects her vision of the profession: committed, respectful of human rights and at the service of citizens. Lawyer specializing both nationally and internationally, Céline Verbrouck’s areas of practice include immigration law (Europeans, workers, work permits, professional licences, students, refugees, the beneficiaries of subsidiary protection, family reunification, visas, etc. ), naturalisation law, discrimination issues, international private law (competent court, applicable law, etc. ), and international family law (marriage, divorce, filiation, adoption, marriage annulment, recognition of foreign judgements and documents, etc.). Since 2017, Céline Verbrouck is also a professor at the Université libre de Bruxelles in charge of the legal clinic in immigration law. She has a mandate of expert in human rights for Avocats.be and is thus part of the delegation of the Council of Bars and Law Societies of Europe (http://www.ccbe.eu) to the European Court of Human Rights. Céline Verbrouck has always been, and continues to be, very active in the non-profit arena fighting racism and discrimination and for the rights of immigrants, among others. She was the Chair of the "Commission for foreigners" of the Belgian Human Rights League, of which she is a member since 2001. She founded the INTACT non-profit in 2009. The group fights against female genital mutilation from a legal standpoint (http://www.intact-association.org). She is the current Chair and director of the organisation. 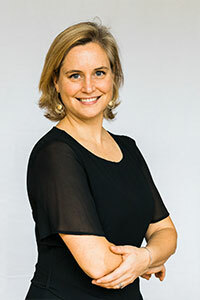 Céline Verbrouck has taken part in many conferences, colloquiums and training sessions on, among other things, violence against women and "cultural" issues as they relate to the law. Her commitment has earned her many prizes. She was awarded the honorary title of "woman of peace" by IEFH and Vrouwenraad in 2011, the King Baudouin Foundation's Hors Piste prize in 2010, the Condorcet Aaron prize for democracy (Parliament of the French-speaking Community and ULB) in 2009, and was named "Namuroise of the year – external category" in 2009. Céline Verbrouck gained early recognition for the high quality of her pleadings during her law traineeship which she began in 1999 at international business law firms and in "social and labour law" departments. In 2008, she won First Prize and the “Prix du public” at the International Human Rights competition in Caen (France). She also won the pleading competition at the University of Al-Quds (Jerusalem) in 2010. She worked at the Blanmailland & associés law firm between 2001 and 2012 and became a partner in 2005. Céline Verbrouck is a committed member of the Brussels Bar’s Human Rights Institute and of the "commission mixte". The latter develops recommendations for the Order regarding immigrant rights. She has published many articles in the field of immigration law and international private law and is the correspondent for the Bulletin Social et Juridique on these matters.